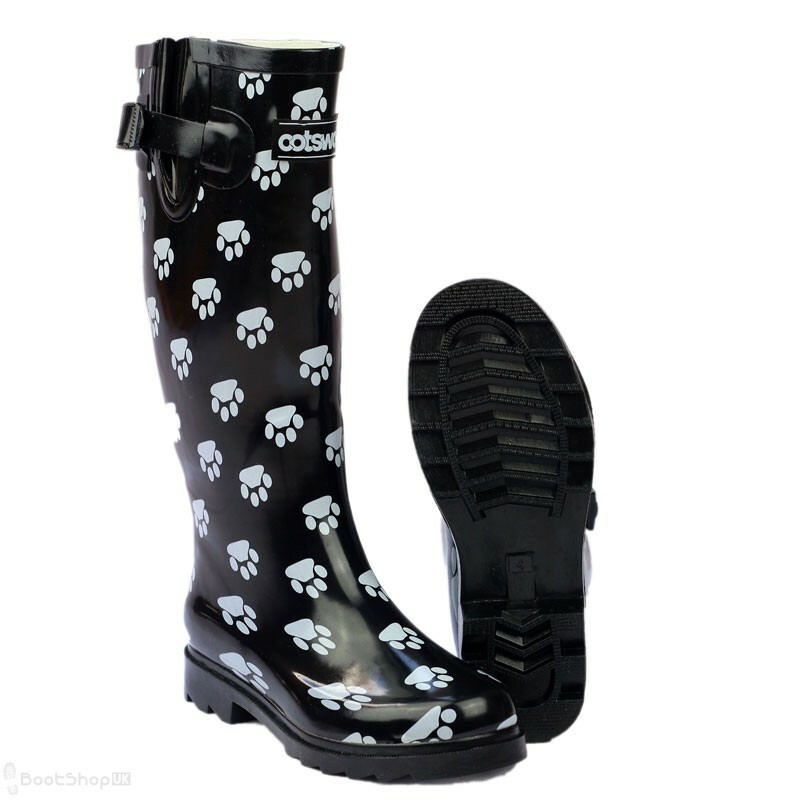 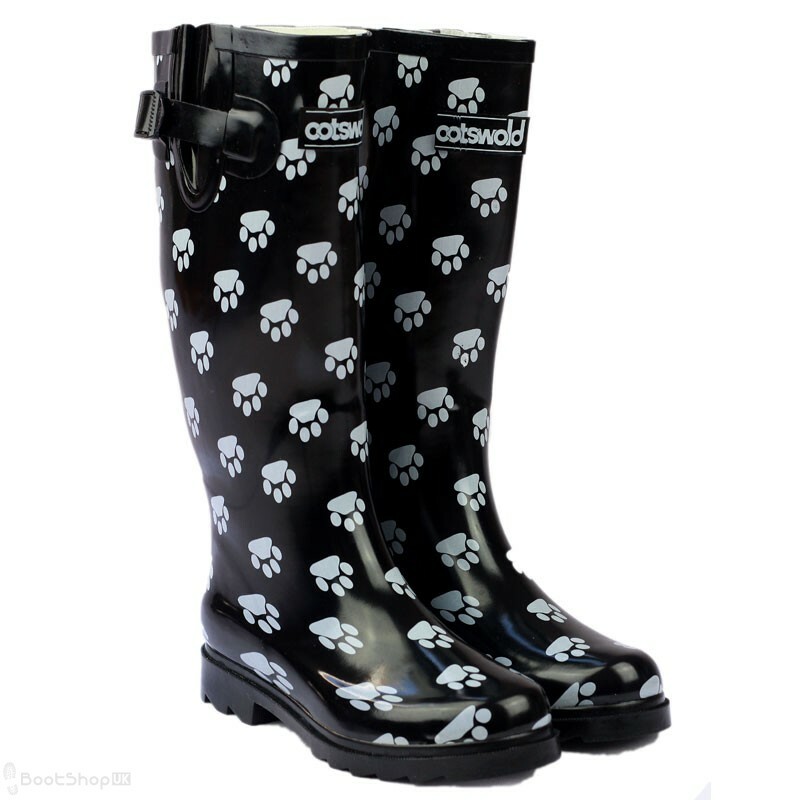 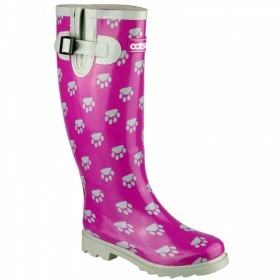 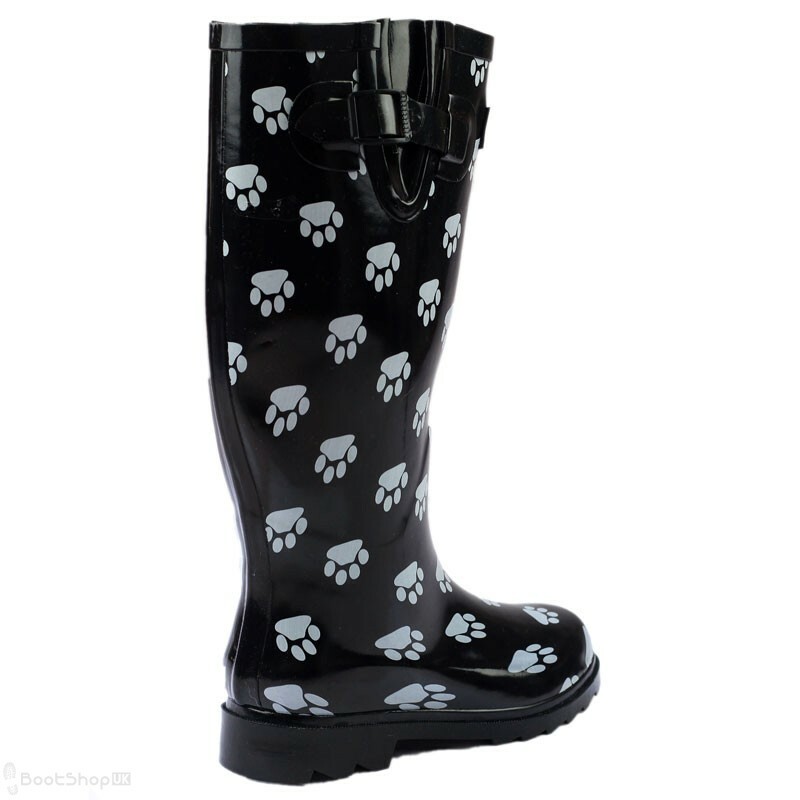 With its fun dog-paw print pattern, this welly is a favourite amongst our female customers who garden, camp, go to festivals, and (of course) walk dogs! 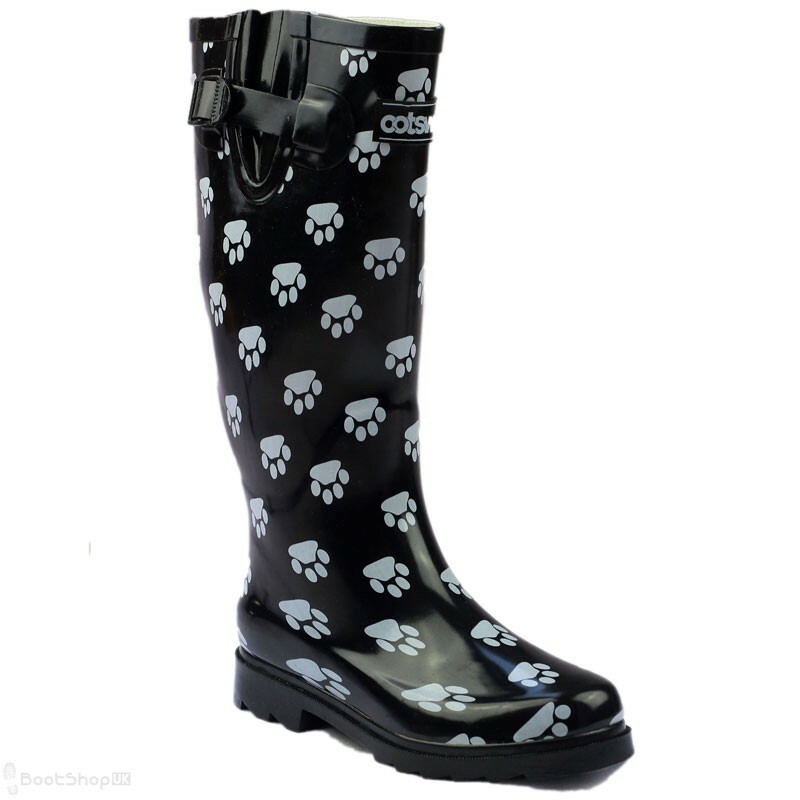 A fully waterproof rubber wellington boot with a cleated rubber sole that provides excellent grip in all wet conditions. 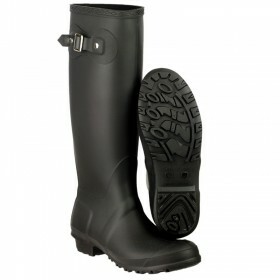 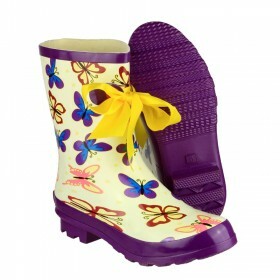 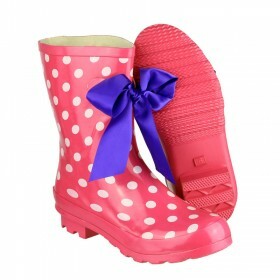 It features a gusset at top of the welly for your comfort with an adjustable fastening buckle.